Fruit and herb flavored water. For cardiovascular health, digestion, blood sugar regulation and immune system protection. Allow the mixture to infuse overnight. Then, consume it all the following day. 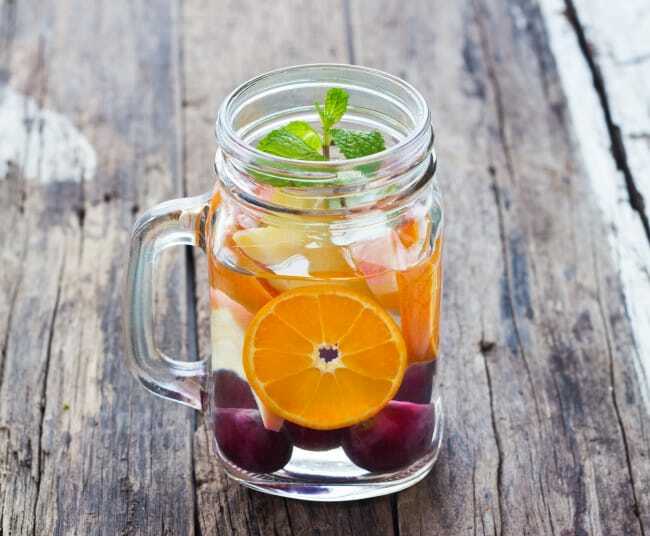 To detoxify, utilize citrus fruits: oranges, grapefruits, limes and lemons. These fruits contain fiber, citric acid and the best nutrient-rich fruit juices in order to aid your body to lose fat. Process: combine all the fruits. Add water and place inside the fridge overnight. Then, enjoy these the following day! Do not forget to discard after 2 days. Pick which recipe you will be creating—or you can come up with your own combo—then gather all of the ingredients. Fill the jar with water and then give it a taste. (You could also fill the jar with seltzer water if you are in for that fantastic fizzy treat.) If you would like something sweeter, try adding some agave and combine it until it is dissolved. Enjoy it as-is or refrigerate overnight to enjoy that amazing flavor.